NA Hong-jin’s critically-acclaimed THE WAILING won both the Best of Bucheon and NH Audience Award at the 20th Bucheon International Fantastic Film Festival (BiFan), which held its closing ceremony on Friday, July 29th. Due to the threat of heavy downpours, the star-studded event took place in the main theater of Bucheon City Hall rather than in the park outside, which served as the venue for the opening ceremony a week earlier. Some of the evening’s famous attendees included Nikita (1990) star Anne Parillaud, Seoul Station director YEON Sang-ho and his voice actors LEE Joon and SHIM Eun-kyoung, previously a BiFan Lady for the fest’s 18th edition, actors CHANG Mi-hee and JUNG Jin-young, who both took part in this year’s jury, and local directors such as PARK Chan-wook, LEE Jang-ho, KIM Han-min and JANG Cheol-soo. Meanwhile, the Jury’s Choice Award went to Babak ANVARI’s Iranian horror film Under the Shadow, while Best Actress was bestowed upon Karin Viard of 21 Nights with Pattie and Best Actor was picked up by Deepak SAMPAT of Autohead. In the newly set up Korean Fantastic Features section, KIM Sang-chan’s Karaoke Crazies picked up the LG HiEntech Best Korean Fantastic Film Award while the film’s star BAE So-eun walked away with Best Actress. A special mention was reserved for LEE Sang-ho’s documentary Who Killed Kim Kwang-seok?, while Phantom Detective’s KIM Ha-na was offered a special mention for Best Actress. Best Actor went to Grand Father’s PARK Keun-hyong and the Audience Award was won by Phantom Detective. Best Short Film went to Simon Cartwright’s Manoman while The Bathtub by Tim Ellrich won both the Jury’s Choice and Audience Award for Short Film. In the Korea Fantastic: Shorts section, How to pick a lock by KIM Kwang-bin took the top prize. 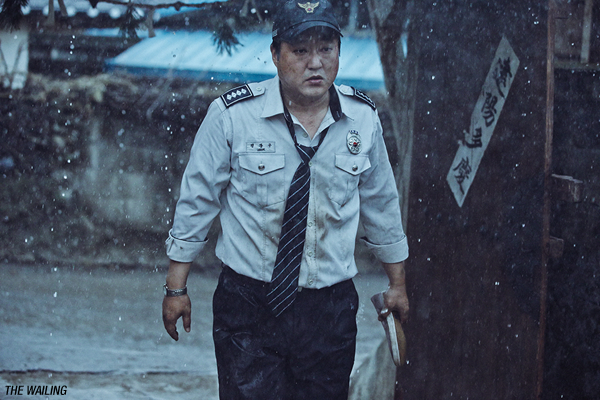 The Korean Fantastic Audience Award went to LEE Won-geun’s Cliché Resistance. Among the rest of the festival, the European Fantastic Film Festival Federation (EFFFF) Asian Award went to Anurag KASHYAP’s Psycho Raman, the NETPAC Award was taken by The Forest by Paul SPURRIER, the Save Energy, Save Earth Film Award went to Captain Fantastic by Matt Ross and the inaugural BIFAN Children’s Jury Award went to Laha MEBOW’s Hang in there, Kids!. Followed the awards ceremony, the director and stars of closing film Seoul Station went up on stage to introduce their film.